MarvellousMe is an app available on Android, Apple and Windows devices. It allows your child’s class teacher to provide you with feedback on your child's day throughout the year. This feedback comes in the form of virtual badges - for example, 'Good Work', 'Great Teamwork' or 'Full Marks'. Once registered, you will receive a notification when your child is awarded a 'badge'. When your child gets home, you can ask them why they were awarded the badge. At the start of the year, the class teacher will send you an invitation code. This code needs to submitted with your registration on the app or website. Download the flyer for more information. 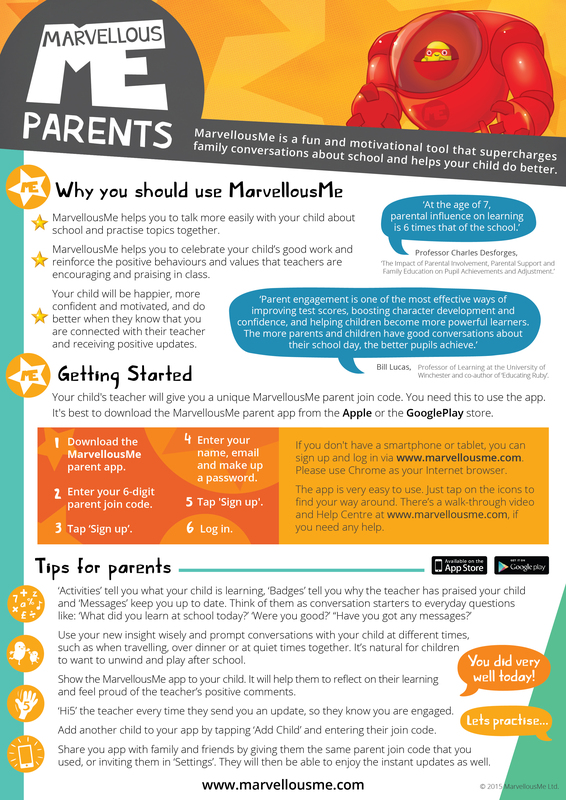 We are looking to use MarvellousMe at the start of this academic year to help give you a better picture of how your child is doing. 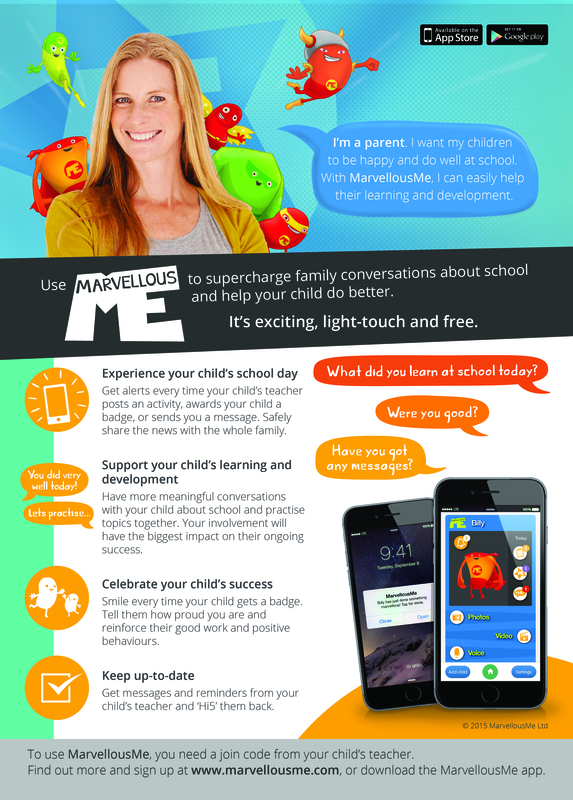 It will hopefully help you to gain a stronger understanding of what your child's school day is like. Support your child's learning and development.